The family of a missing man said his body was found near the Eastex Freway. 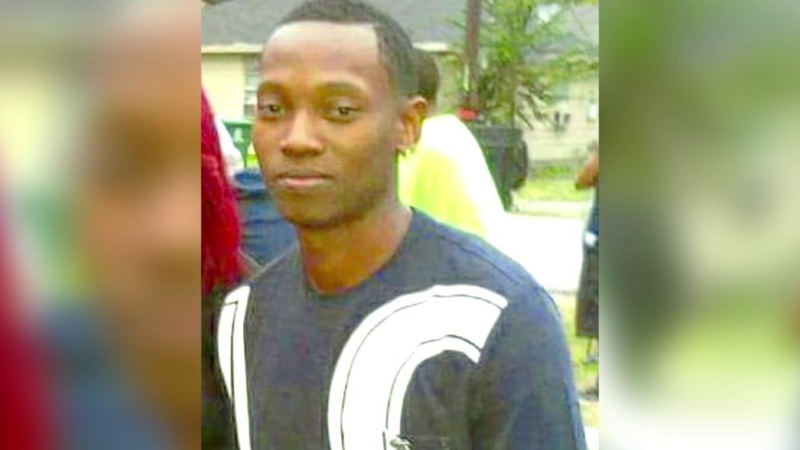 HOUSTON, Texas (KTRK) -- Family members believe the body found along the Eastex Freeway is that of a missing 26-year-old man. According to investigators, a crew mowing tall grass underneath the freeway found the remains "in an advanced state of decomposition" along with a crashed motorcycle. Police have not formally identified the victim, but family members believe the body is that of Gerean Brown, who was last seen leaving Mr. A's Club at 3409 Cavalcade St. on May 29. He texted a friend that night saying he was on his way home, but has not been seen or heard from since. Authorities hold a press conference about a body found near the Eastex Freeway on Thursday. "We know it's him. It's okay. In a way it's some relief. At least we know where he's at now. No more searching, because we know now," said Brown's sister, Sandra Eleby. The family said police asked for a description of Brown's clothes and motorcycle and that they were told what was found was a match. At this time, police believe the motorcycle was traveling northbound on the service road when it struck the median. Investigators have not identified any witnesses to the apparent crash. They are investigating the case as an accident. Family members believe Brown's custom motorcycle made him the target of foul play. "If you did this to my son, I would like you to come forward. Turn yourself in...or something. Please," said Brown's mother, Shirley Davidson. Gerean Brown, 26, has not been seen since he left a club in northeast Houston on May 29, and investigators have reason to believe his disappearance is suspicious.